Source: The Krider Endowed Scholarship in Atmospheric Sciences/Physics was made possible through a generous gift from Dr. E. Philip Krider. His pioneering research on lightning and atmospheric electricity has earned him national and international recognition. He was a Professor in and former Head/Director of the Department of Atmospheric Sciences/Institute of Atmospheric Physics at the University of Arizona (UA). He is also a alumnus of the UA where he received a Master of Science degree in Physics in 1965 and a Ph.D. in Physics in 1969. He is the author or co-author of more than 140 scientific publications, and he has 8 patents. Dr. Krider is a Fellow of the American Geophysical Union (AGU) and the American Meteorological Society, and in 1985 he received the AMS Award for Outstanding Contributions to the Advancement of Applied Meteorology. Dr. Krider is a former Co-Chief Editor and Editor of the Journal of Atmospheric Sciences; Associate Editor of the Journal of Geophysical Research; and he is past President of the IUGG/IAMASA International Commission on Atmospheric Electricity. In 2008 he received the Blitzer Award for "Excellence in Teaching of Physics and Related Sciences" from the UA Department of Physics, and in 2009 he was named a UA College of Science Galileo Circle Fellow. In 1976, Dr. Krider co-founded a successful Tucson company, Lightning Location and Protection, Inc. (now a division of Vaisala). Dr. Krider led the team that developed the lightning sensing technique that is now being used in the U.S. National Lightning Detection Network and by similar networks in more than 40 foreign countries. He conducted research at the NASA Kennedy Space Center for many years, and he has chaired the NASA/Air Force/FAA advisory panel that ensures lightning safety during spaceflight operations. Dr. Krider is also a noted historian of 18th century science, especially Benjamin Franklin. 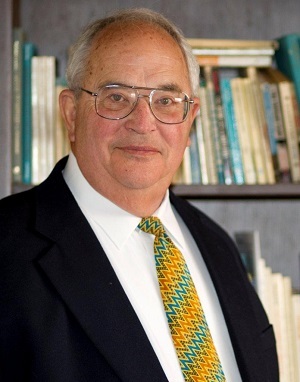 Dr. Krider established the Krider Endowed Scholarship in Atmospheric Sciences/Physics in 2012 in memory of his father, Edmund Arthur Krider; his mother, Ruth Abbott Krider; and his brother, William Arthur Krider. Eligibility: The Krider Endowed Scholarship in Atmospheric Sciences/Physics shall be awarded to UA students who are full-time undergraduate physics majors with a minimum GPA in physics of 3.3 and have a demonstrated interest in applied or experimental physics, or physical meteorology, or have been accepted into the Atmospheric Sciences Accelerated Master's program. Graduate students with an interest in physical meteorology may also be considered. Selection Process: Selection of student(s) for this scholarship shall be made by the Academic Committee of the Department of Hydrology and Atmospheric Sciences. Should the committee identify two candidates with comparable academic portfolios, preference shall be given to the student(s) from underrepresented groups in science.